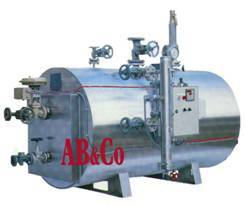 AB&CO are a well-known Danish clean steam boiler manufacturer, who have specialised in small and medium-size customised heaters and boilers. Clean steam can actually be produced directly in a stainless steel steam generator boiler, electric steam boiler (see left) or as a reboilers that heat exchange industrial steam to clean steam production (see below). What is Pure Steam - and what is Clean Steam ? Conventional steam contains foreign particles from chemicals, from the metal and from the feed water. Normally this does not cause any problems. But even though the temperatures are high, killing most germs etc., conventional steam cannot be considered 100% clean. Special high quality steam is used in special applications on hospitals, special institutions, pharmaceutical industry, biochemical industry, food industry etc. The terms often used for this high quality steam, are clean steam and pure steam. Clean steam is made in an hygienic environment of stainless steel. It is clean, which means that it does not contain significant amounts of particles with e.g. iron, iron oxide and dirt of any kind. The feed water quality is likewise in an appropriate quality. Application could be food industry, and chemical industry. Pure steam is both something similar to clean steam, and still something quite different. The quality of pure steam is extremely high. This kind of steam is often used in direct contact with medicals and controversial sterile parts - it must not for contains any particles what so ever. It is therefore generated in a super sanitary environment. Application is being even more common within hospitals, but also special institutions, pharmaceutical industry, biochemical industry. Both clean steam and pure steam applications can be solved by TT BOILERS solution. The clean and pure steam application both requires a special design on the feed water provider and the steam generating plant. Obviously the quality of feed water determine the quality of the steam. The general design comply with materials in stainless steel only. Pure steam requires that the surface in contact with the pure steam, including weldings, are polished. 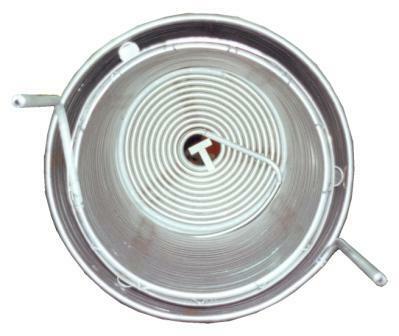 The design must not allow any traps in which condensate cannot be drained off 100%. All parts - materials and components - must be of a very special pure steam quality. 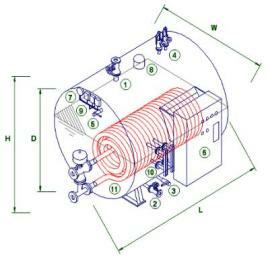 Basically reboilers use high pressure steam to produce low pressure steam. Thus the design can be made in a customized degree of sanitarily. 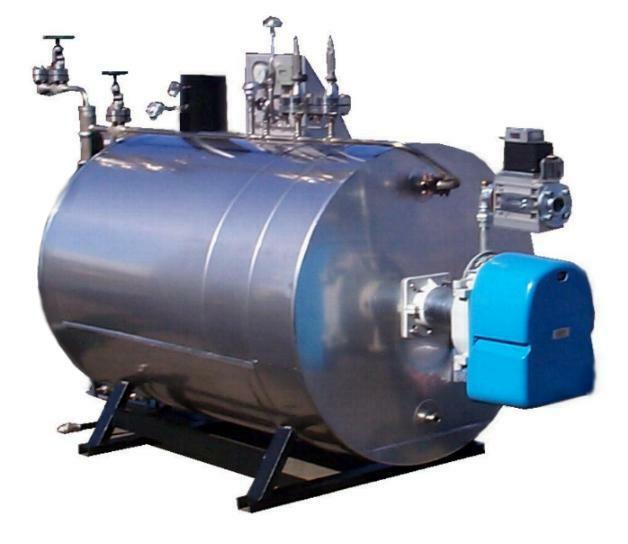 Clean steam and pure steam boilers and generators are available up to 25 barg working pressure. Sanitary design with thermal fluid is an option. See the chapter about thermal fluid (hot oil) heater units. TT BOILERS manufactures reboilers as unfired steam generators for conventional steam production without any sanitary requirement. Standard boiler armatures and materials in carbon steel are used. 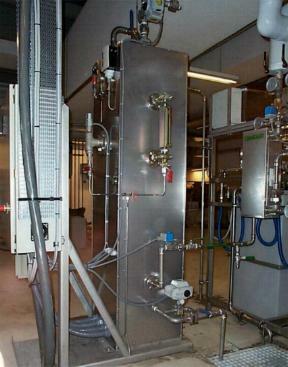 Pure Steam Plants for Pharmacosmo Ltd. 300 kg/h and 600 kg/h.